Becoming a parent can be achieved through adoption. 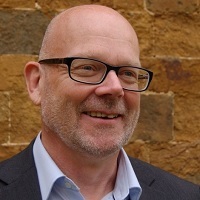 We asked Hugh Thornbery, Chief Executive of Adoption UK, about the process. The charity has just run a campaign, “Too old at 4?”, to encourage people to be more open about adopting slightly older children. Q. Picking up the phone can be a big move for some people. Is there a helpline for people who are considering adoption, but haven’t decided yet, so they could check if it is the right option for them? HT: Yes, Adoption UK and First4Adoption both have helplines and are happy to answer all types of adoption questions. Q. If you decide to adopt, how long is the average wait before you can take home a child? HT: Once you register your interest to adopt with an adoption agency the assessment and approval stages should be completed within six months. Once approved to adopt, prospective adopters enter the matching stage of the adoption process. The exact length and detail of this stage can vary from adopter to adopter. Prospective adopters’ social workers liaise with children’s social workers to identify possible matches. They take care to consider the needs of the child(ren) with what type of family and care prospective adopters can provide. Sometimes they have a child for adopters in mind early on and sometimes social workers need to look to others areas of the UK for a match. The latest figures show that nearly 60% of adopters are matched within six months after they have been approved. For further information go to www.first4adoption.org.uk/the-adoption-process. Q. Is there a shortage of people wanting to adopt? HT: Not in numerical terms; there is roughly an equal number of adoption placements to the number of children waiting to be adopted. However despite this there are over 2,800 children waiting to be adopted. These children are more likely to be older, have additional needs, in siblings groups or from Black and Minority Ethnic (BME) backgrounds. We urgently need people to come forward to adopt these children. Q. Is it possible to adopt a baby or child under four or are most of the children older? HT: Adoption has changed. Today, very few babies are relinquished for adoption in the UK. Just over three quarters of children adopted from care are aged between 1 and 4 years. Only 4% were under 1 year and 20% were aged five and above. Q. Can you choose which adoption agency to use? HT: Yes. Each local authority has an adoption agency and you do not have to use your local one. There are also many adoption agencies run by charities, it’s worth looking at your nearby ones, checking their Ofsted ratings and talking to ones on a shortlist to work out which one suits your needs. Q. Some people are told to wait after IVF treatment before trying to adopt – is there a policy on this? HT: While there’s no official guideline, adoption agencies suggest waiting approximately six months after IVF treatment. This is to ensure that the prospective adopter is over the grieving period of not being able to have a birth child. It is down to the discretion of the agency. Q. Can you be too old to adopt? HT: Adopters need to be over 21 but there is no upper age limit. Agencies will expect you to have the health and vitality to see your children through to an age of independence. Consideration will be given to your age comparative to the age of the child you want to adopt; younger children are more likely to be placed with younger parents. It all depends on individual assessment. Q. Will the child’s birth family have rights over contact? No. The child’s birth parents have no legal rights over the child as the adoptive parents have full parental responsibility once an adoption order is granted. Q. Do birth parents and other relatives have any contact with their child after adoption? It is common for there to be an exchange of written information, perhaps once or twice a year, via the adoption agency. Q. 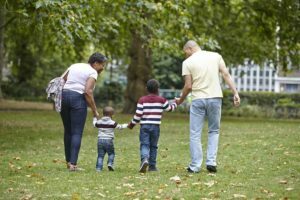 What support is available to families after adoption? HT: Adoption UK is the leading charity providing support, awareness and understanding for those parenting or supporting children who cannot live with their birth parents. Over 11,000 members provide a strong, supportive community and the largest voice of adopters in the UK. We are here to make sure that no matter what happens in the process of adopting and raising a child, you’ll never have to do it alone. We run support groups across the country where you can meet other adopters and share experiences, and we have a vibrant online community of adopters and prospective adopters who come together and share their knowledge and experiences. Our support groups, online forums and family days build a sense of community and help reduce feelings of isolation. There’s also post adoption support which for the first three years is provided by the local authority placing the child. After three years post adoption support is provided by the authority in which the parent(s) live. Parents can request an assessment of their support needs. This can be financial, respite or therapeutic. £19 million of support is also available for adoptive families through the Adoption Support fund – for more information click this link. More information about adoption can be found in our Moving On category here.